Nigerian workers are anxiously waiting for the Federal Government to implement the proposed N45% increase in minimum wage requested by the organised labour. Their demands have been justified in different quarters. Many have reasoned that with escalating prices of food stuff, gas, rent and others, the current N18, 000 minimum wage is no longer sustainable Last week, minister of labour and employment, Sen. Chris Ngige, hinted that the Technical Committee on Minimum Wage and Palliatives may be submitted to President Muhammadu Buhari this week. The Nigeria Labour Congress (NLC) had earlier in the year given a deadline of May 1, 2017 for the government to implement the new minimum wage of face breach of industrial peace in the country. To the average worker on the street, he is unconcerned with the price of crude in the international market, what is paramount to him is food in the table. Sadly, with the current economic challenge, that seems to be becoming a herculean task. It will be recalled that on June 3, 2016 a joint technical committee of the Federal Government and organised labour was inaugurated on palliatives and minimum wage. Close to a year, the tripartite committee expected to commence negotiations on the new minimum wage is yet to be inaugurated. Most workers say that they are already losing patience. 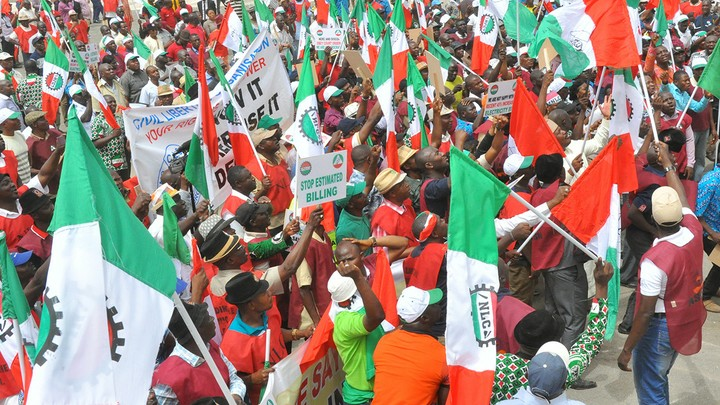 The Nigeria Labour Congress (NLC) recently accused the Federal Government of engaging in unnecessary delay in constituting a tripartite committee to negotiate the new minimum wage for Nigerian workers. The current administration is dragging its feet in constituting a tripartite committee to negotiate a new minimum wage. Against the background of the harsh economic times and the impact on the working people, we cannot wait indefinitely for government to respond at its own time. Though, we have been told by the administration that the panel will be constituted, we enjoin the government to urgently sort out whatever is the constraint it is facing. NLC president, Ayuba Wabba, said at the 4th NLC National Gender Conference and Election of the Leadership of National Women Commission in Abuja. Speaking on the challenges being faced by workers, Wabba said, “In the last 12 or more months, the inflationary trend in the economy has gone over the roof, and the mass of our people, the salaried and the teeming millions of the unemployed are facing very difficult times. Amidst these difficulties , we have contended with a number of state governments that have misplaced priorities and have regularly refused to pay workers in the state pay roll, their salaries as and when due. Similarly, pensions of retried public servants have gone unpaid for several months, and in some cases years. We have over the last 15 months fought these state governments to pay up these outstanding wages and pension liabilities they owe workers. We will continue to do this till all salaries and pensions across the country are fully paid up. More Nigerians are beginning to join the campaign for minimum wage increment. Recently, Deputy Senate President, Ike Ekweremadu said that if corruption must be nipped in the bud, it has become imperative for the abolition of security votes presently being enjoyed by State governors and the executive, just as he called for the need to peg the minimum wage at N50,000. He said, “When a man who earns N18,000, cannot buy a bag of rice, how then can such a person take care of his family? Does it make sense to him if you tell him not to find alternative means of catering to the needs of his family? ?